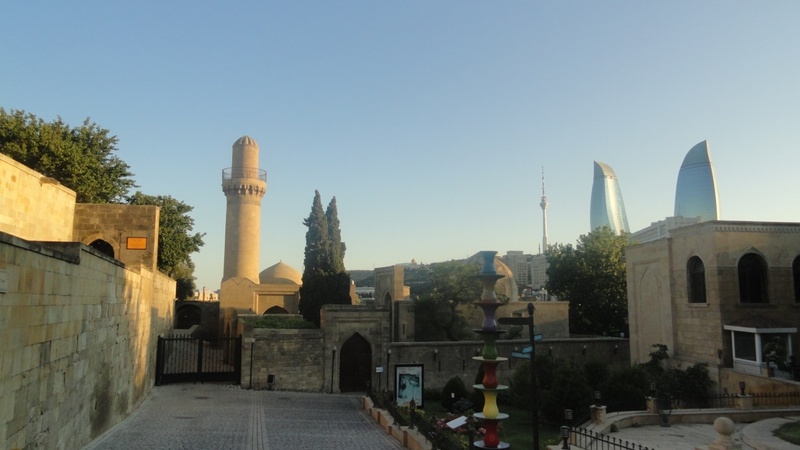 Somewhere between Middle East and Europe, in a mixture of modernity and tradition, the stunning Flame Towers rise over the old Medina in Baku as an exponent of the progress that the petrodollar has brought to a part of the Azerbaijani population: those lucky ones living in the capital. 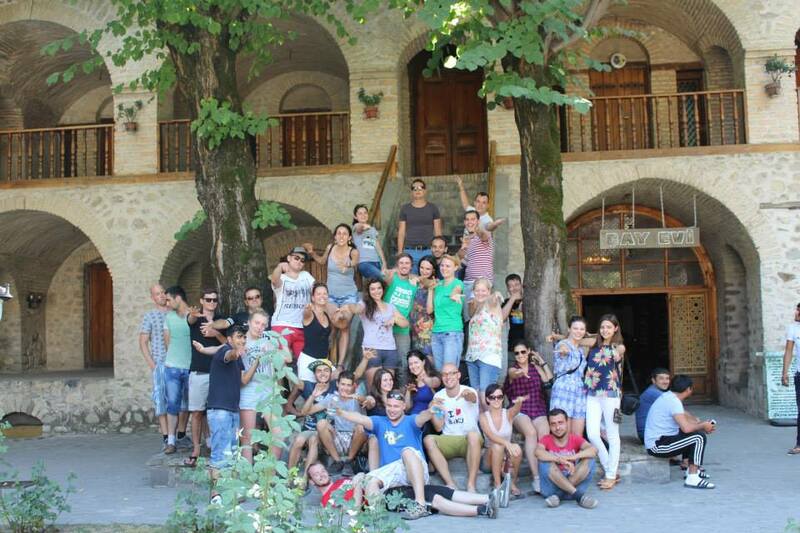 Twenty seven of us AEGEEans were lucky enough to discover it during the Summer University organised between the Baku and the Gandja locals. For two weeks, Ukrainian blonde girls, huge Dutch guys, very loud Spaniards and some crazy Hungarians, among many other nationalities, tried to blend in the gentle-mannered Azerbaijani people. Of course, it was an impossible mission, since our presence was easily spotted anywhere we walked. Our Summer University chose as motto “Come and see the AzerbAEGEEnian dream!” and aimed to open a window to this very specific part of the world. Somewhere between the modernity brought by the petrodollar and the traditions kept over the centuries, Azerbaijan shows its true colours only when you step out of the dream of big cities. Baku and Gandja have everything the rest of the country has not: they are clean, they are safe, they have nice green areas where to chill and all the necessary infrastructures to ensure a nice time to visitors. The rest of the country is sylvan, is difficult, is disorienting and is definitely slow paced. But that is precisely where the fun relies; in that contrast of us being cuddled in 5 starts hotels only to be thrown to the arms of Imodium® to overcome the vomitacja katastrofa two days later. See those smiles? We did not lose them even during our intense poo-poo party! Now, we feel like survivors and we only remember the good times, which were by far more than the uncomfy ones. Both Baku and Gandja organisers struggled for us to have a great time in their country, succeeding indeed. They were patient guides, resourceful interprets, friendly lecturers and adventurous buddies. In their hands, we tried the haute cuisine of the Shaki region -no irony here!-, we learned some traditional dances with an overenthusiastic teacher, we visited some nice historical sites, as the UNESCO-recognised Qobustan settlement, and we put our life at risk taking pictures to the military by the border with the Nagorno Karabakh disputed area -yes, irony here-. But many of us will remember the camping by the lake in Quba as the best experience of this trip, since it allowed us to disconnect from the chaotic cities in a beautiful spot without losing the AEGEE party spirit. Again, contrast blending in perfection. The Southern Caucasus is a rich area itself, but each of the three countries constituting it has its own idiosyncrasy worth to be discovered. However, you may need somebody to guide you through a process that has not proven to be easy, due to that in-between situation that makes them close to us in a great distance. From my experience, there is no better way to delve into these peculiar features than with the expertise of the AEGEE people… It’s true, eh? Esta entrada fue publicada en Azerbaijan: contrast on fire el 24 octubre, 2014 por alelerele.